There are 5 reviews of Vince Camuto. From the initial intoxicate to the sensuality dry down Vince Camouto clearly speaks of a stunning olfactory statement when worn to a late-night party.anothers scent you either love it or hate it.to me it is a really lovely scent with strong patchouli and warm vanilla and faint floral notes in a very comforting way.a perfect combination of sweetness and warmth creating this highly addictive scent. Luxurious,Spicy,Harmonious,Sultry,Alluring,Stylish, Passionate,Fascinating,Intoxicating and Surprisingly Well Blended. Boozy top notes of rum give a intrigue first impression while patchouli,vanilla,amber and leather notes linger in the backgroubd to deliver a lasting sense of passion and warmth.amber gives to perfume warmness,while patchouli makes it strong and the vanilla&leather sweet.the patchouli and rum are quite prominent and leather is subtle like a beloved leather purse.the scent gives you a feel like a soft fluffy blanket wrapped around you when you are in a special evening ready for a dinner for two and then unleash a sublime,sensual pleasure. Nasty basil tarragon OUD fougere! A burst of basil and tarragon, but be quick about it, it lasts 3 minutes and 23 seconds, then is replaced by the usual bitter, nasty, repulsive OUD scent that the world has gone crazy over for the past decade. Terrifically bad and cheap smelling. Not worth taking the time to empty it down the toilet. This is an odd one, a fragrance that leaves me feeling frustrated and a bit confused. I had high hopes and big expectations for this one after reading so many positive online reviews. I bought this blind, 3.5 ounces @ a mere $29.99 on Amazon...apparently from a reputable perfume retailer. I'm glad I did not pay more for this because after "trying" it and wearing it for a day or two, I do not think it will be one of my go-to fragrances. With so many identified "notes" and so much allegedly going on, this perfume seems to do nothing once it settles down on my skin. Initially out of the bottle, I definitely detect the "rum" scent, an aroma that I generally do not like. In fairness, the opening rum notes are not over-bearing or intolerable as some "rum" fragrances can be. The opening notes are not unpleasant...just very very PRESENT, as others have stated. And as an aside, a reviewer on another site noted, there IS something a bit strange in the opening notes that definitely attacks the nostrils...not necessarily unpleasant...just strong, present and a bit odd...alcoholic...hey, I think it's the RUM! The middle notes and dry-down are where things get too weird, confusing and frustrating for me & my tastes. Yes, amber comes through as does a heady mixture of MULTIPLE florals (definitely rose, jasmine, osmanthus), powder, musk, amber, vanilla, etc...everything. I do not detect a lot of patchouli or leather...notes I wouldn't mind! At any rate, the middle notes or mid-phase of this potion almost smell a bit funerial to me...something I definitely do not like...almost old-lady like. Fortunately, while still a bit confusing, the dry-down and base notes are not so bad because everything seems to calm down into a lot of, well...nothing really. After 30-45 minutes or so, I am left with a barely detectable aroma of boozy, powdery amber & rum...a wee-bit of Bulgarian rose, perhaps (which is nice). Actually, the dry down and base notes are quite pleasant but almost unrecognizable and non-detectable...frustrating for me after suffering through so much-smile. This fragrance has good silage and great longevity, as it seems to last for quite some time. And while silage is good, on me this fragrance plays close to the skin (which given how I smell, may be a good thing). Some reviewers on other sites describe this fragrance as "rich, sensuous, unusual, enigmatic, very feminine, exotic, etc," which are not words that come to my mind after I sampled (wore) this for a few days in a row. 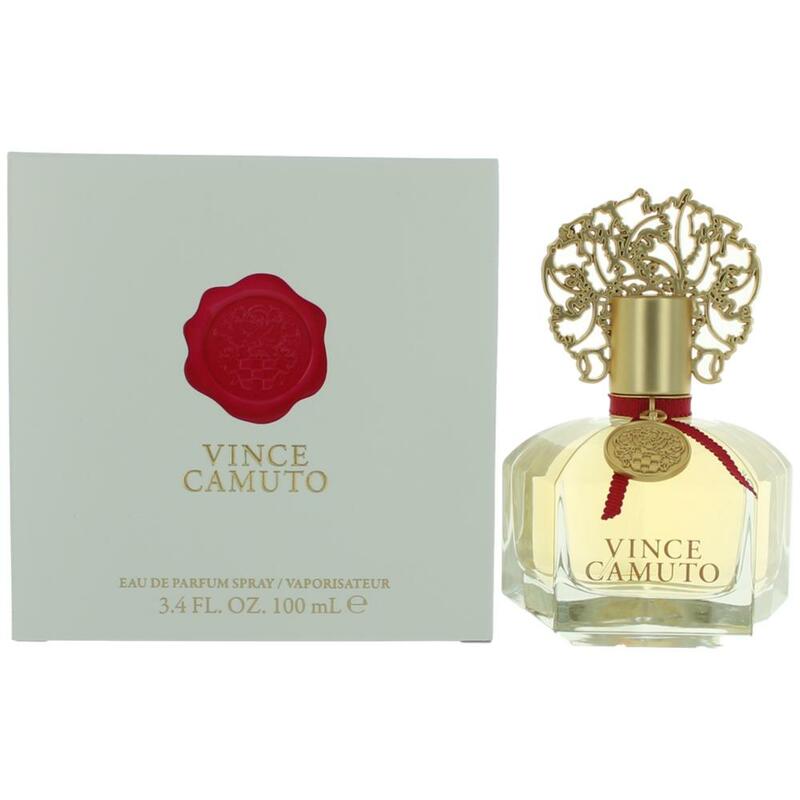 While pleasant enough and not offensive, this Vince Camuto scent is extraordinarily ordinary on me. I guess I'll use up the bottle, using it here and there, etc when my much beloved fragrances run low. I like it and so does my husband but its just a bit manly. Cons: Wish it lasted longer"
Anyone try the new Vince Camuto? 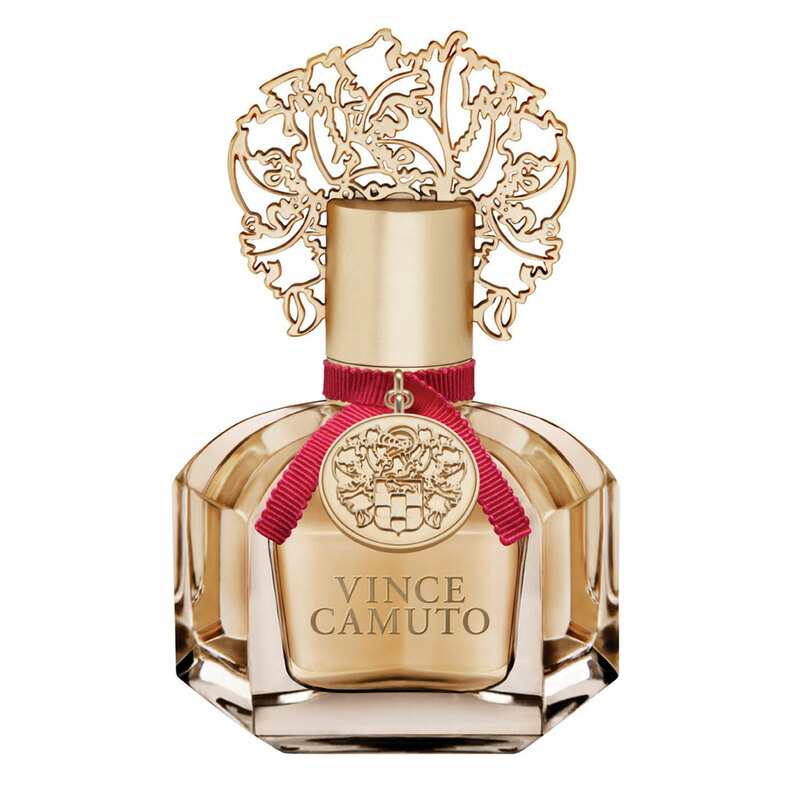 NEW: Vince Camuto - Smoked Oud For Women! NEW: Ciao by Vince Camuto For Women!